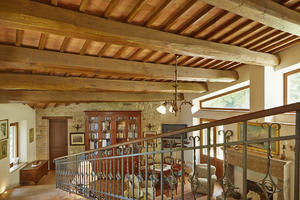 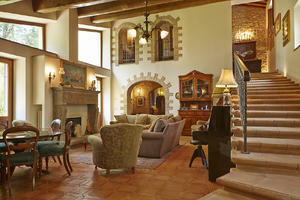 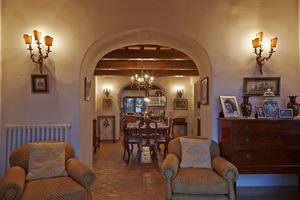 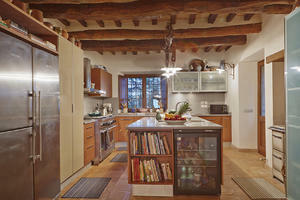 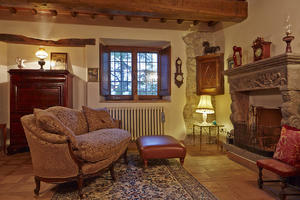 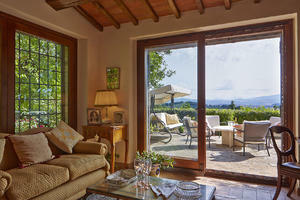 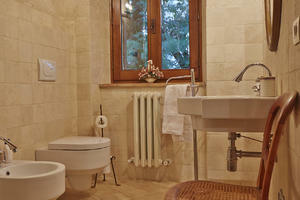 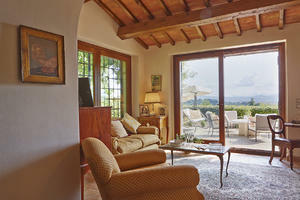 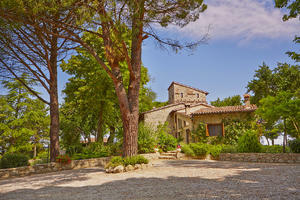 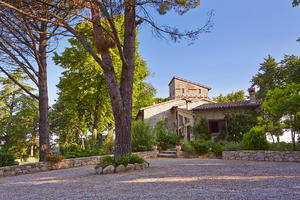 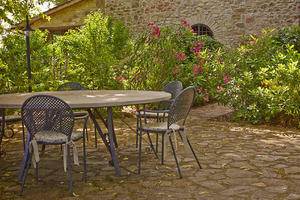 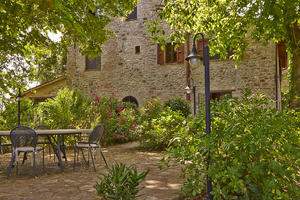 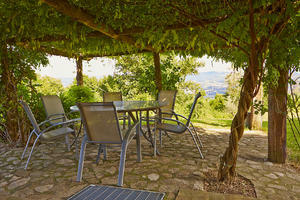 Farmhouse for sale in the Todi hills. 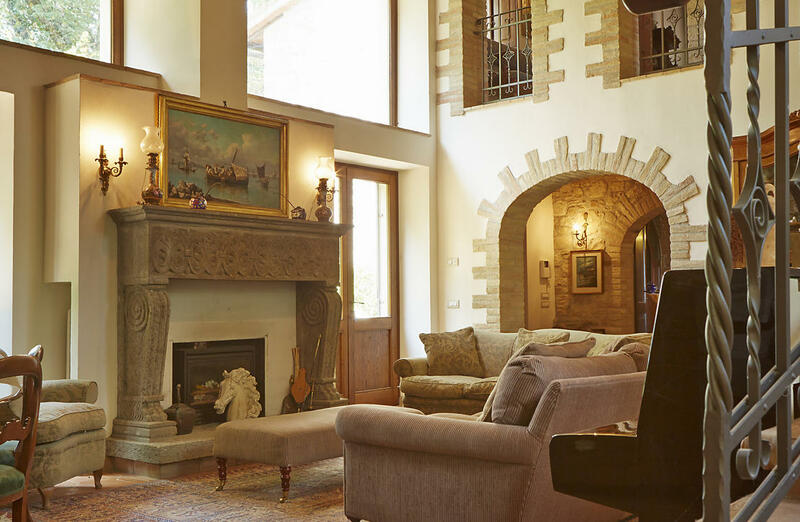 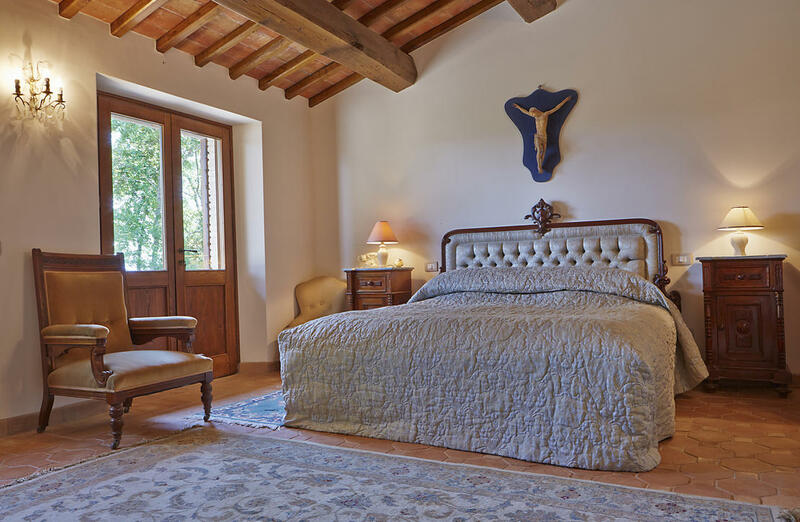 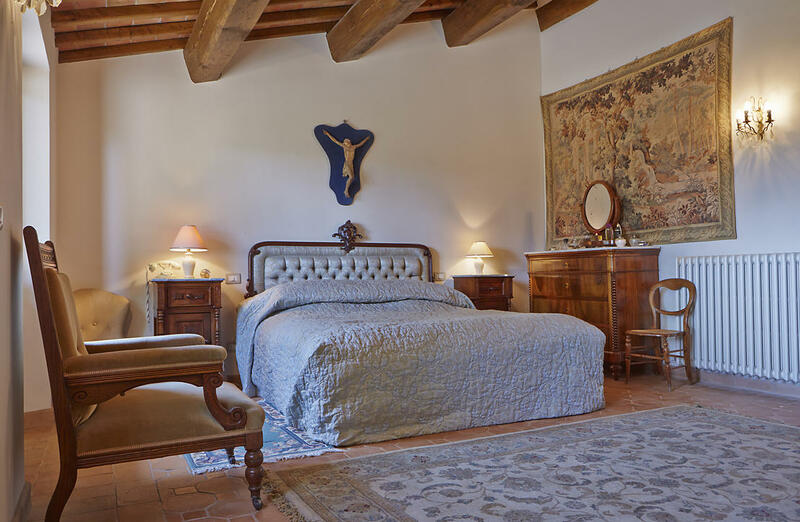 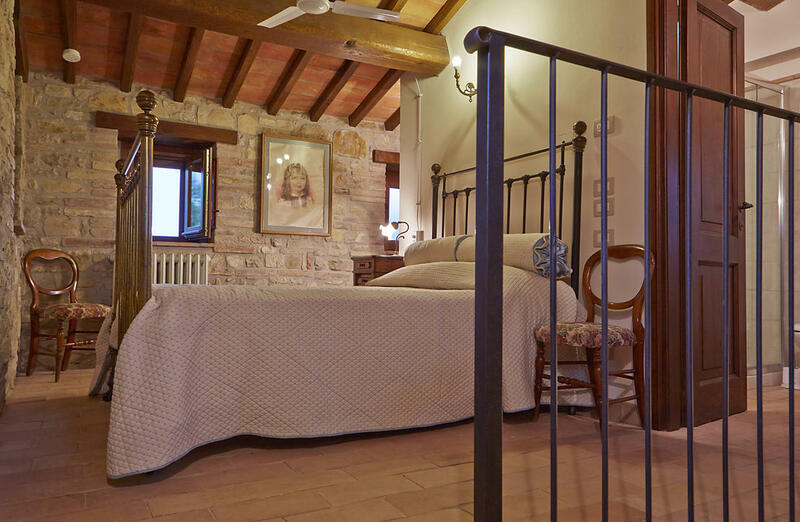 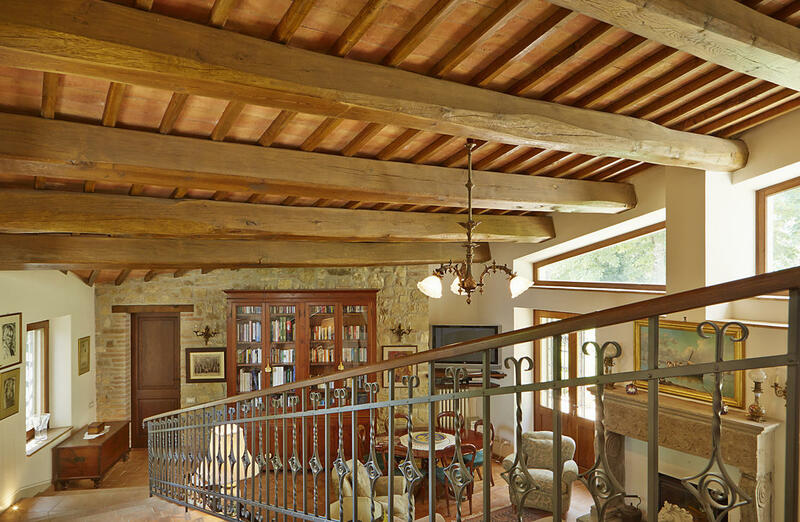 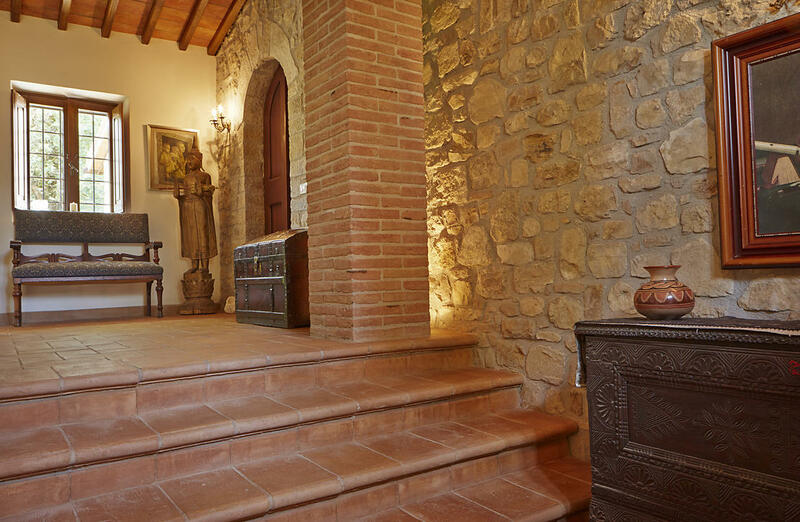 La Torre is a magnificent country house dating back to the 15th century and is said to have been a resting place for the Knights Templar on their journey through the country. 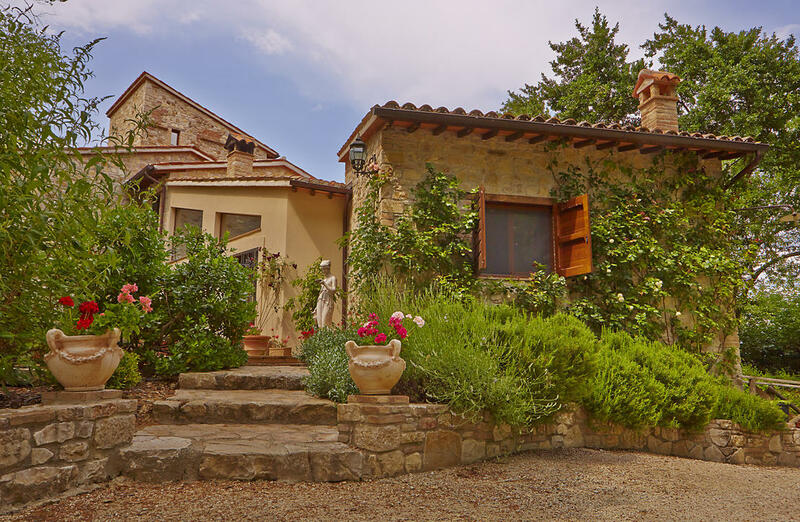 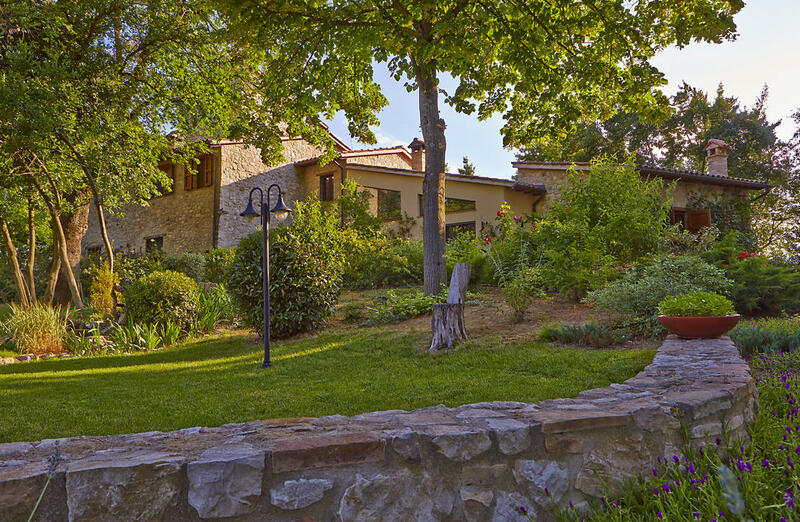 It is situated on a hill in the hamlet of Fiore surrounded by 10 acres of gardens, olive grove, it's own vineyard, fruit trees and woodland. 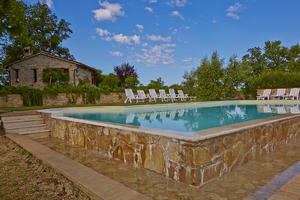 The cottage overlooks the marble clad 14m long infinity swimming pool. 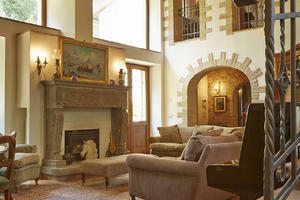 The Lower Ground has one large room and four other areas, large utility, boiler room wine store and store room. 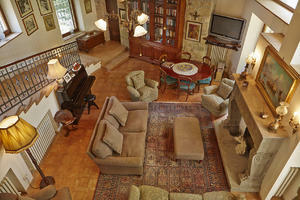 The Ground Floor has a large open plan kitchen breakfast/dining room, morning room. A large open formal living and dining area, a two story high living room with open wide staircase leading to a balcony, a library/TV room and en-suite bedroom. In addition a cloakroom and a small utility also on the ground floor. 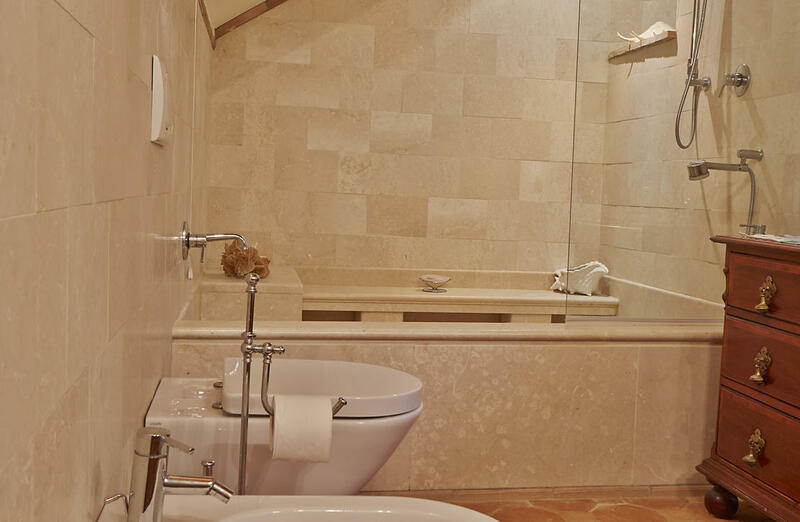 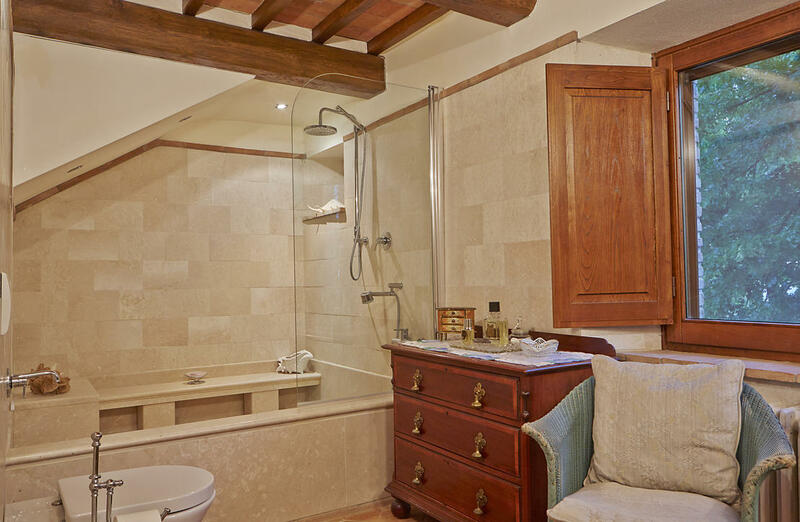 The First Floor has two large en-suite bedrooms and a master bedroom with dressing room and marble clad bathroom with small pool bath and shower. 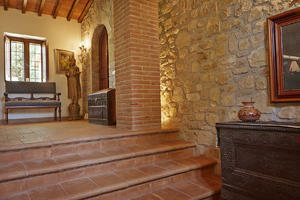 The first floor entrance hall leads to the tower staircase where there are a further two floor , one with en-suit bedroom. 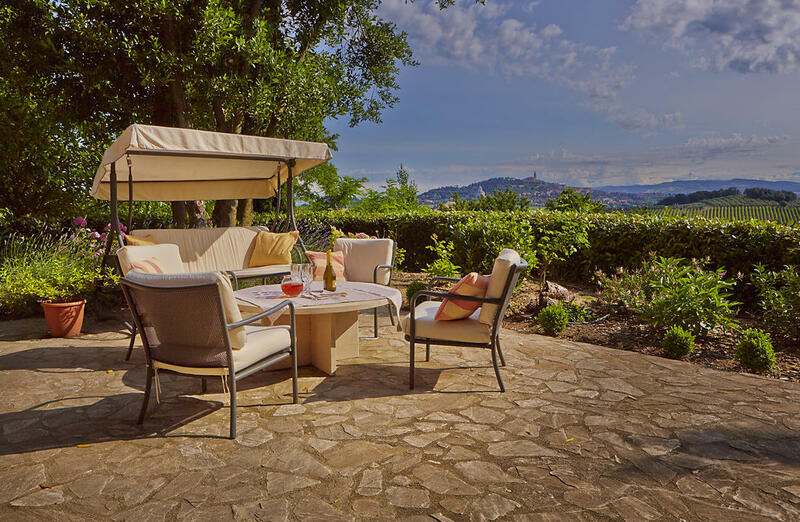 The grounds are spectacular with four patio areas and barbecue, and in case you don't feel like cooking there is a very popular restaurant not even 100m from the house. 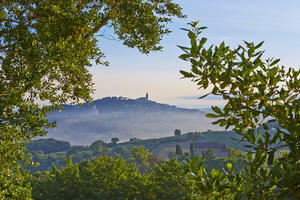 In the fashionable town of Todi (5 mins by car), you can find several great cafe's, restaurants and boutiques. 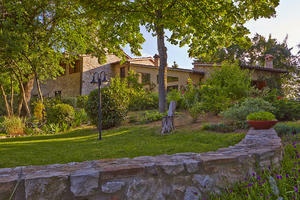 There is also a language school for all ages and a theatre. 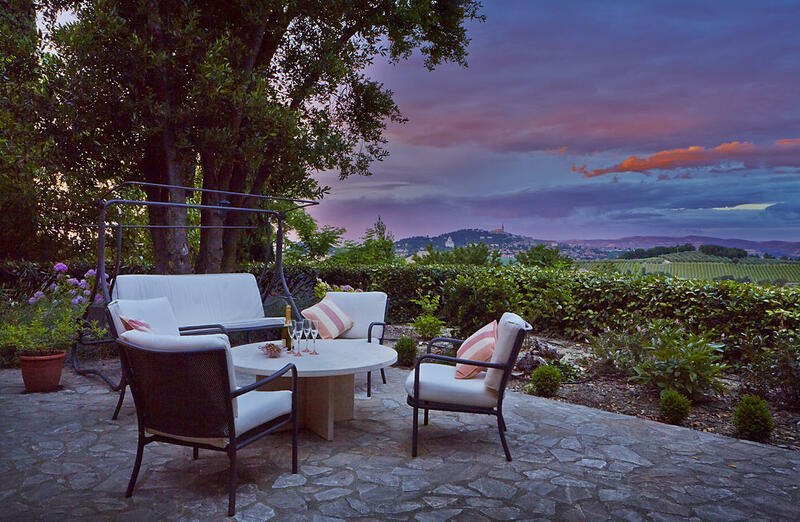 In the event you are looking for the ultimate convenience, one of the the most popular restaurants in the area can be found only 100m away from the property's front gates. 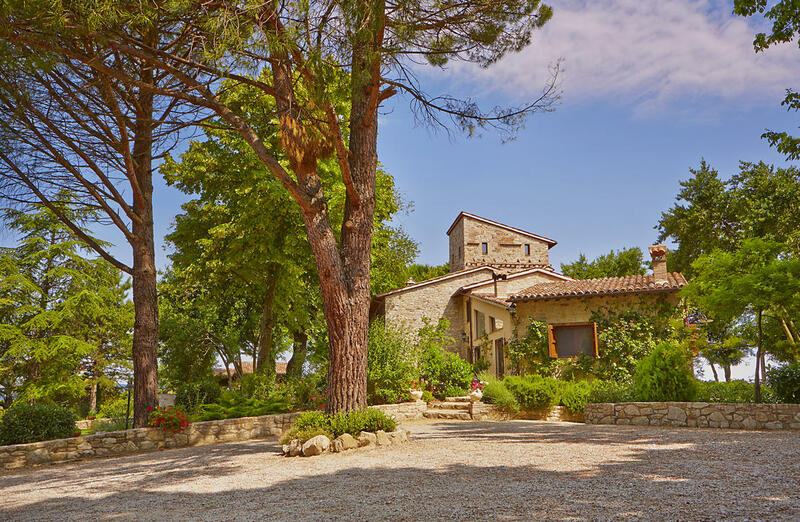 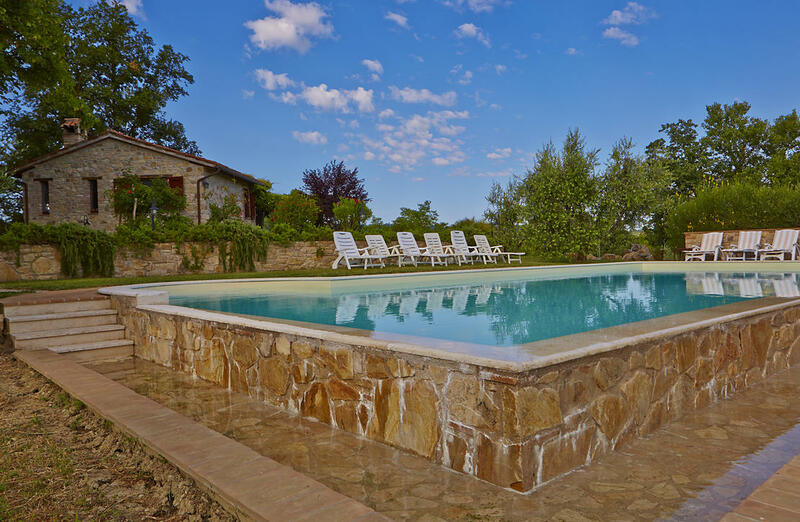 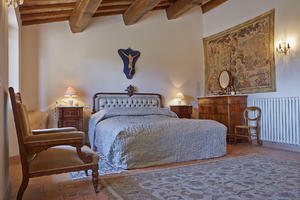 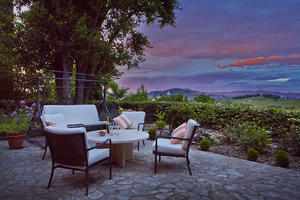 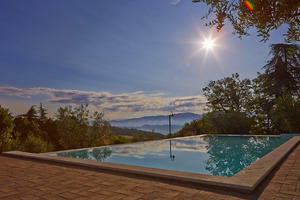 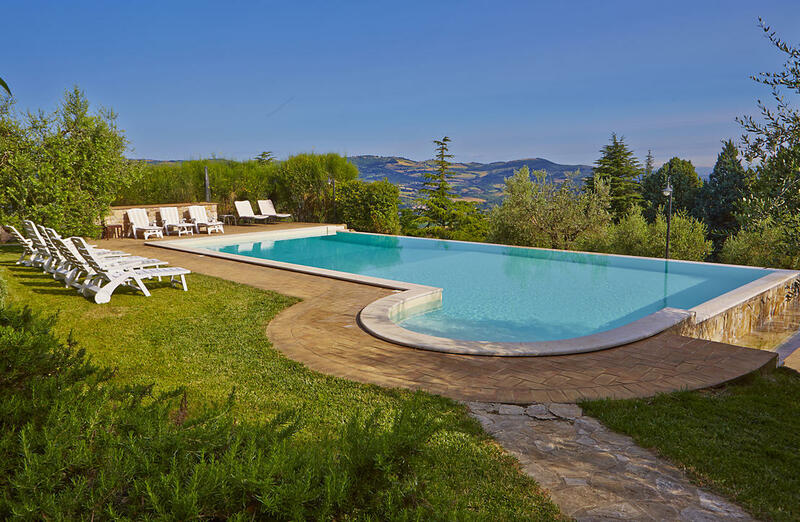 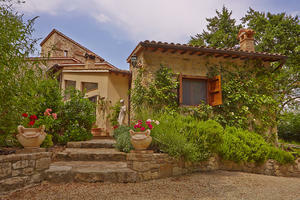 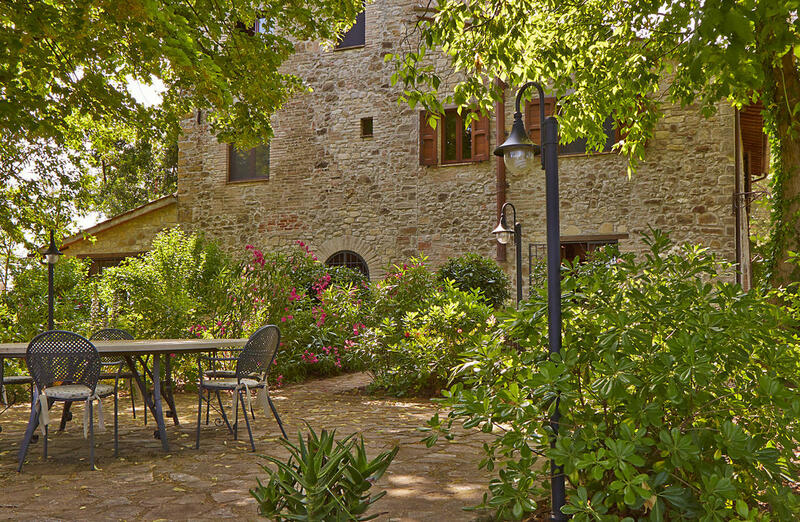 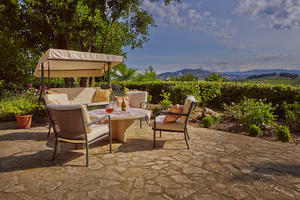 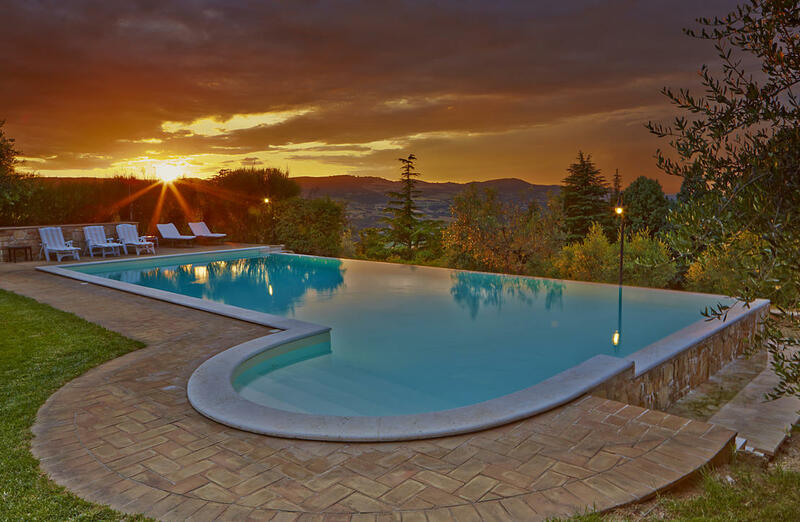 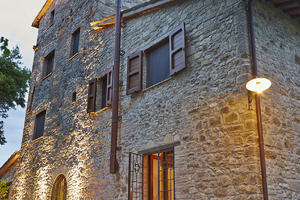 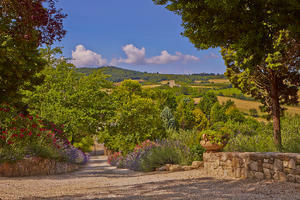 The Property is within easy reach of Perugia (40mins) Orvieto (30mins) Spoleto (45mins) Assisi (45mins) and Rome (90mins). 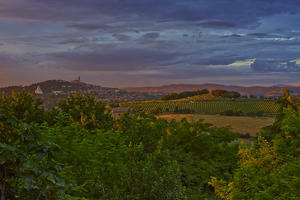 Florence (1hr 45 mins). 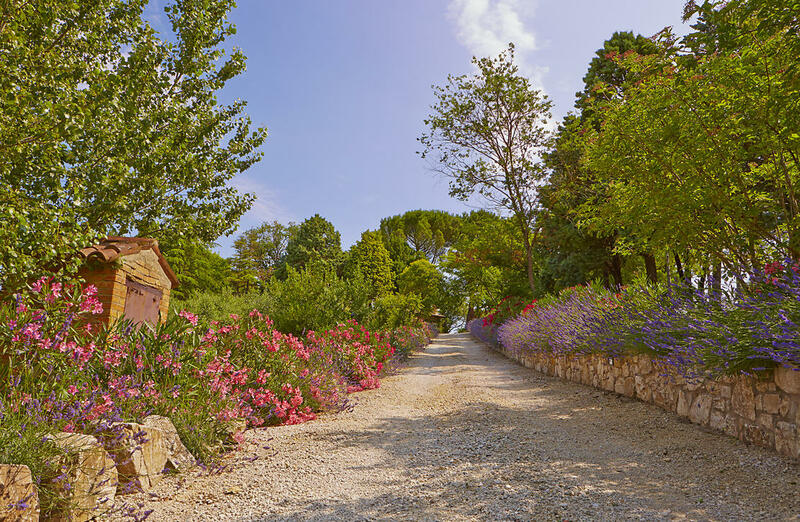 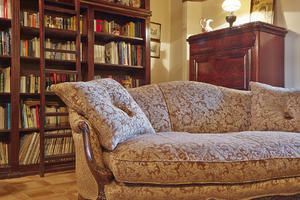 A twice a day coach to Rome City Centre and Fiumicino Airport is just 10 mins away. 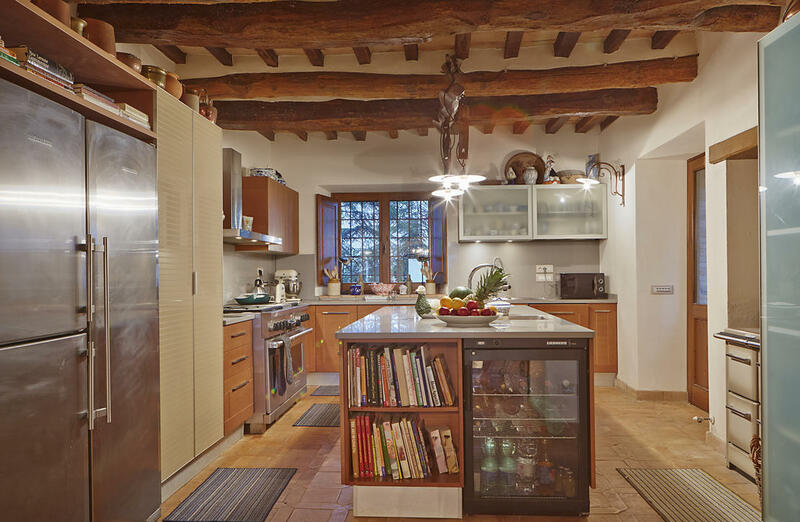 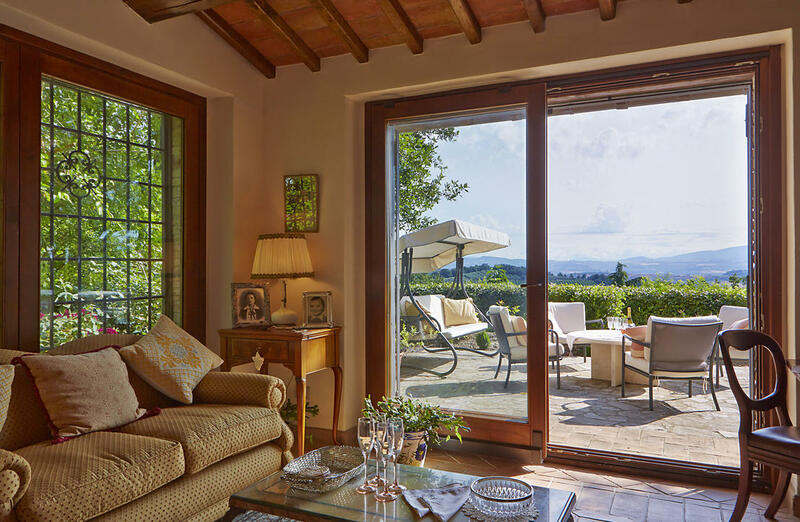 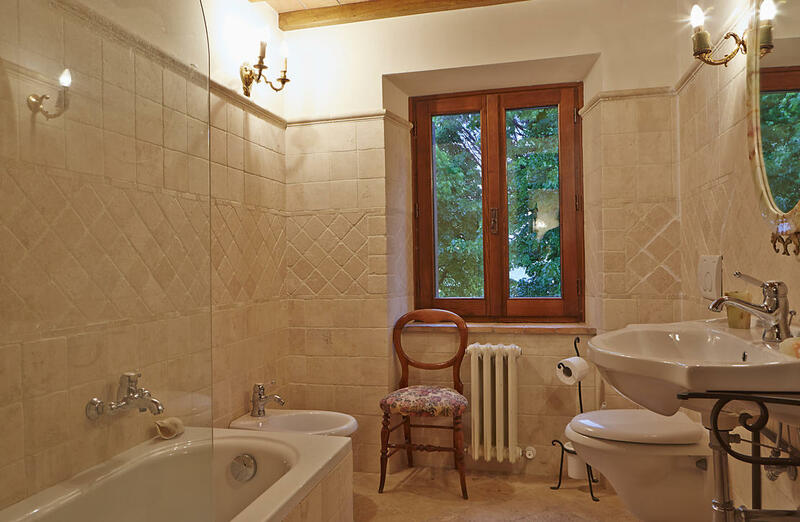 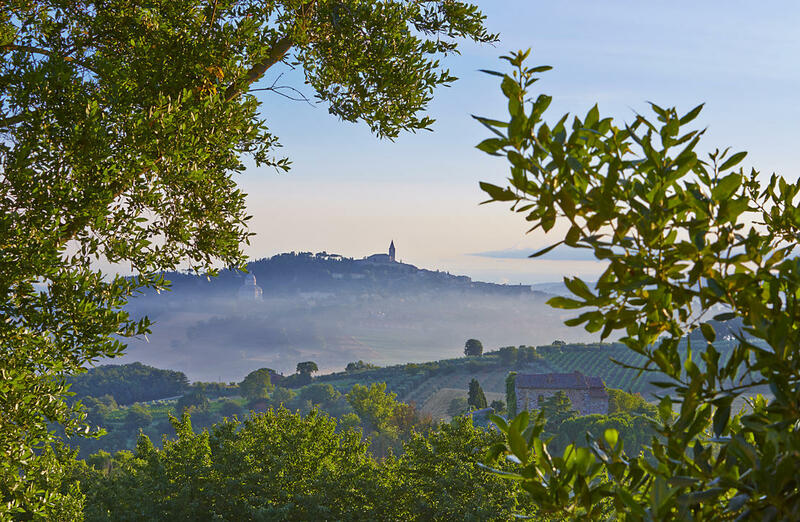 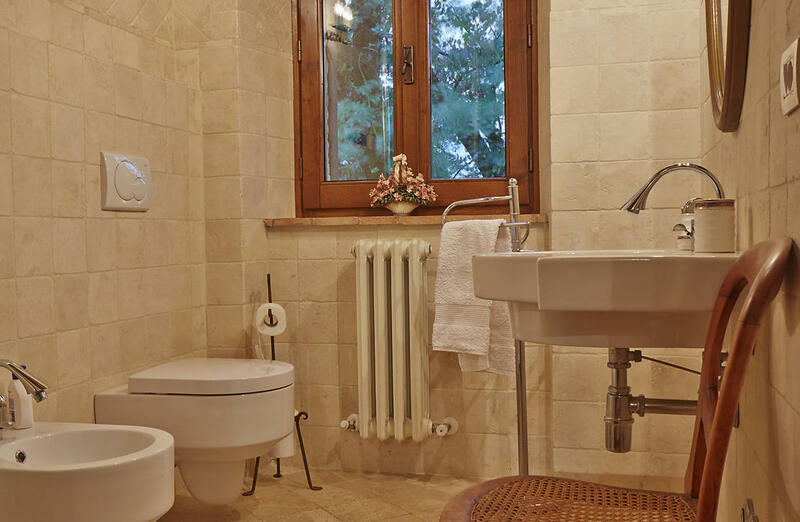 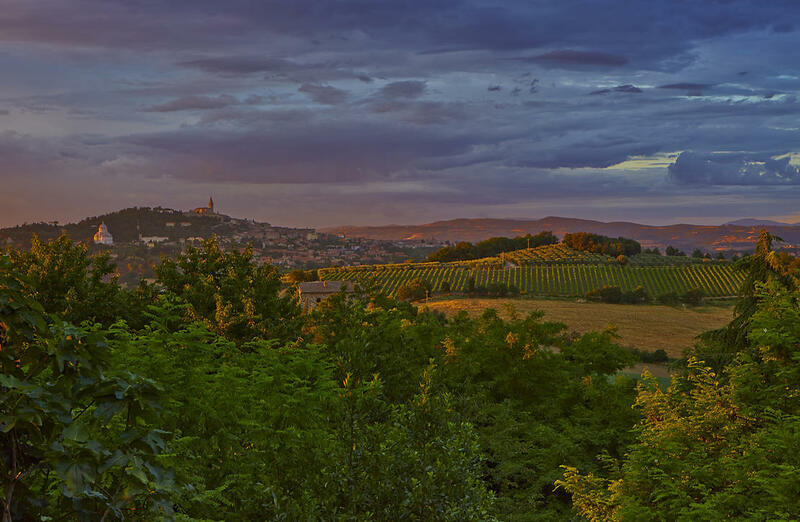 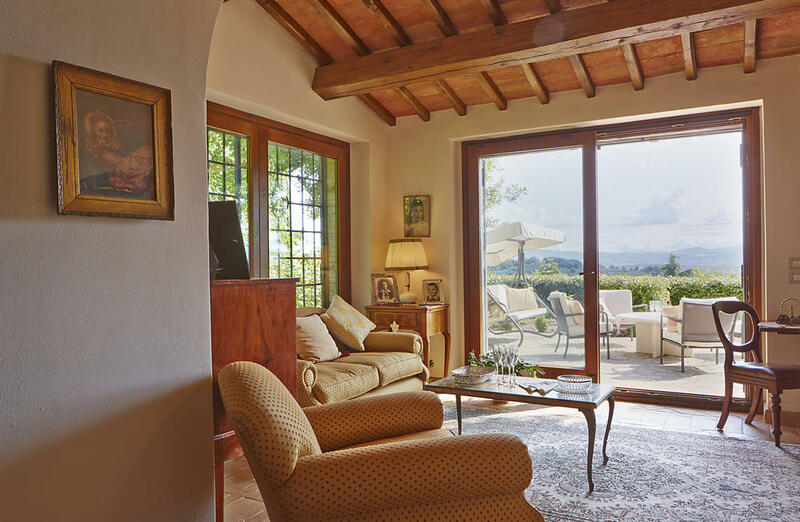 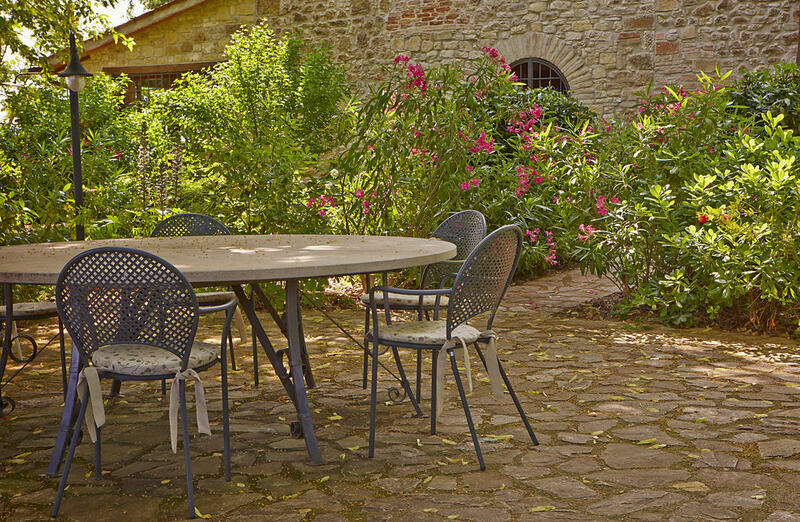 Together with Italian residents, the population around Todi is rich with internationals , which also lends itself to a fairly vibrant social scene should you be looking for a break from the tranquil haven of the Torre.